▷ Sunmile SM-G73 Review 2018 » Best Stainless Steal Meat Grinder? An inexpensive option for cooks that want an electric meat grinder but don’t need a lot of fancy extras. Will save time compared to a manual grinder, and has a sleek, attractive appearance. One of the great benefits of this grinder is that it’s pretty compact, so it can fit in many kitchens without taking up much space. At just 13.6 inches by 6.2 inches by 13.6 inches you won’t be struggling to find room for this — something that can be a problem with bigger grinders. As you’d expect from an appliance with these dimensions, it’s also pretty light. That can be a huge benefit if you don’t like the idea of having to haul a heavy grinder around all the time. And this thing can pack some power for something so small! The 185 lbs per hour processing are perfect for most homes. 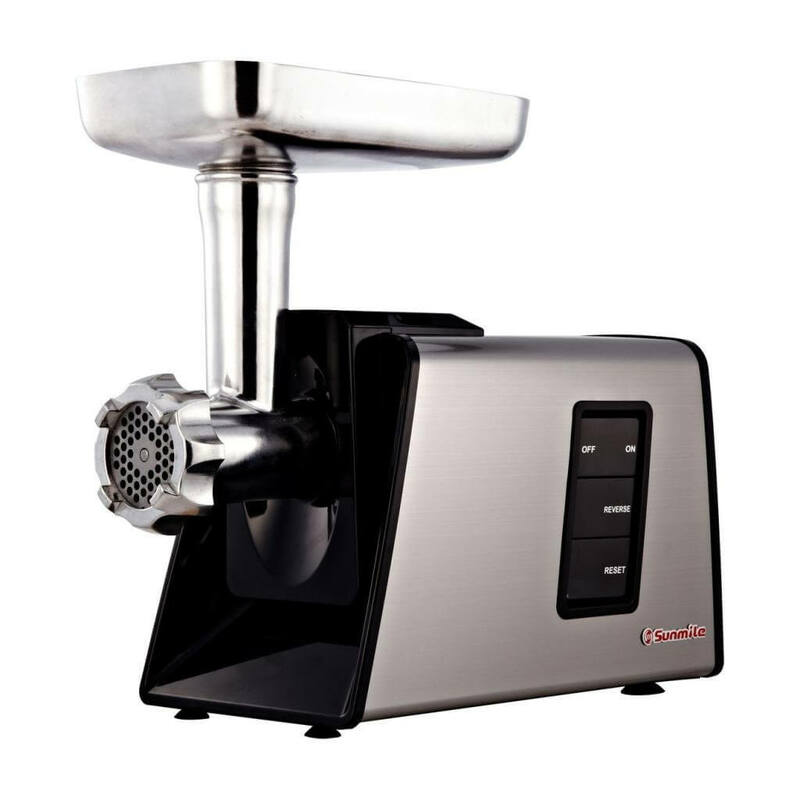 Experienced chefs that need to get a lot of grinding done in a short amount of time might not be satisfied, but for the average home cook, the speed and quality of the grinding with this model will be perfectly suitable, whether it’s meat, vegetables, or fruit being ground. The cutting blade does the work well, and I liked the fact it comes with three different cutting plates. The food pusher also helps out if there are any blockages. You might not get as many interesting gadgets and other add-ons as other models, but that’s okay for most kitchens. Using this Sunmile grinder is incredibly simple, you just load in the meat or other food that you want to grind, press a button, and off it goes. 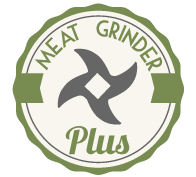 I thought the grinding process was a breeze, and I liked the quality of the grinding, there weren’t any noticeable lumps of meat or other problems. Plus, the fact that it’s all operated by electrics mean there’s minimal physical exertion required. Very experienced cooks will find that the grinder might not satisfy everything they want to get done, as it’s a more simplistic model than other electric grinders on the market. In addition, the parts are not dishwasher-proof, so everything has to be cleaned by hand (except the plastic food pusher and other plastic parts). So bear that in mind if you’re looking for the kind of grinder that you can get messy and then just throw in the dishwasher. This one is going to require a little bit of extra effort to clean after each use, though it didn’t take me too long. As I mentioned in summary at the top of the page, this meat grinder is a great middle of the range product that will suit most homes. It’s not a top market item with a lot of extras that you might see with more expensive electric models, but it’ll still get the job done with ease. There aren’t any major drawbacks with this one, and I know from anecdotal experience that my friends who consider themselves amateur cooks enjoy using this model. For more elaborate grinding, it might be worth looking at other options, but this is a good fit for many people.